VITAMIN K2 as MK-7 is responsible for proper blood clotting and contributes to gut balance which makes up the majority of our immune system. Those on antibiotics or those who eat processed foods have an imbalanced gut. This depletes vitamin K2, with supplementation, this may help. Vitamin K2 (MK7) is the patrol car who directs vitamin D3 to the correct bones and parts of your body where it’s actually needed. This helps prevent calcium buildup in your liver and kidneys. 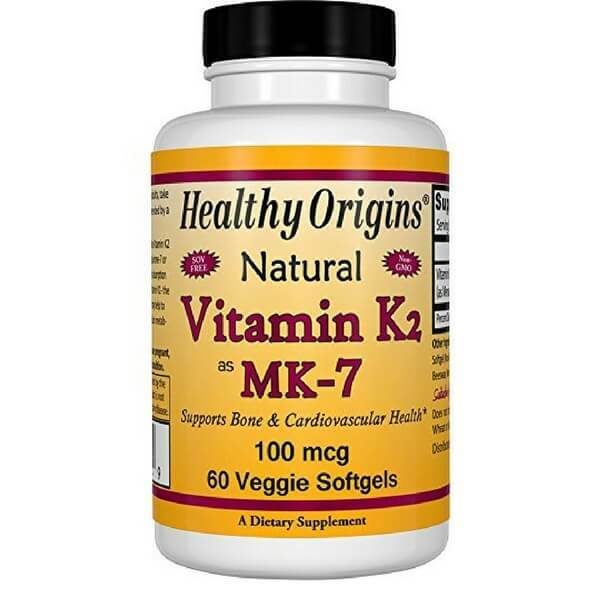 Vitamin K2 as MK-7 has a much higher rate of absorption or retention in the body as compared to the usual supplement K1. Bacteria produce this type of vitamin K. It is present in high quantities in your gut, but unfortunately most is passed out in your stool. Supplementation helps support your gut health which is where 70-80% of your immune system is located. I’ve had great experiences with Lupus Health Shop’s suggested products. So, I thought I’d try this out. 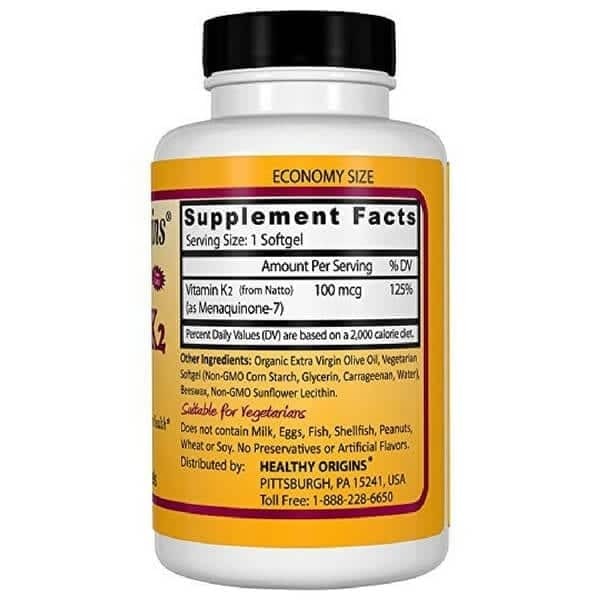 Vit K2 as MK7 is supposed to be the best form for your body to absorb and use. Well, they ain’t wrong! I love and trust this company, its great quality as usual!! I haven’t had any side effects or upset stomach either thank the lord, but everyone can be different. Easy to swallow and good price! Better absorption using this and knowing that I’m preventing calcium build up really helps lessen my kidney stones. 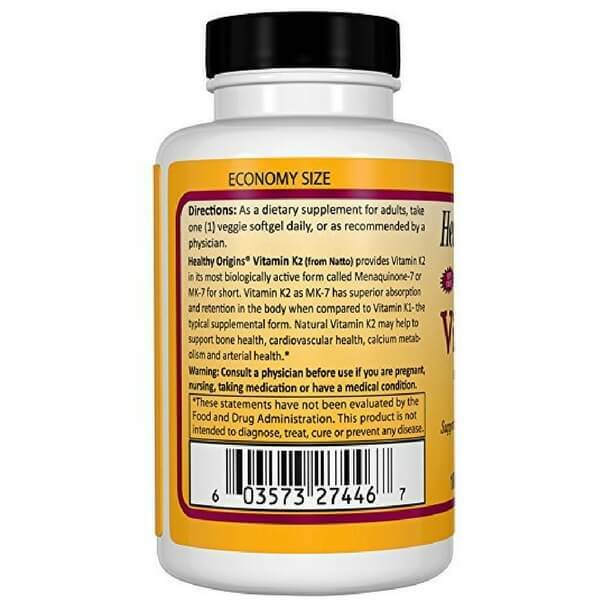 Vitamin K2 as MK-7 has a much higher rate of absorption or retention in the body as compared to the commonly used supplement K1. Bacteria needed in our body produce this type of vitamin K. It is present in high quantities in your gut, but unfortunately, most are passed out in your stool. Supplementation helps support your gut health which is where 70-80% of your immune system is located. K2 goes straight to vessel walls, bones, and tissues other than your liver, which is the ultimate goal when it comes to proper use and absorption of vitamins and minerals. What does vitamin K2 do for my body? It’s important to know that certain drugs, such as statins to lower your cholesterol, and some osteoporosis drugs, inhibit the vitamin K conversion to MK-4. Take it with fat since it’s fat-soluble and won’t be absorbed otherwise. Fortunately, you don’t need to worry about overdosing on K2, as it appears to be virtually non-toxic. If you’re taking vitamin K antagonists, i.e., drugs that reduce blood clotting by reducing the action of vitamin K, are advised to avoid MK-7 supplements. Most Healthy Origins active ingredients are patented branded ingredients manufactured by reputable suppliers who are leaders in their respective fields. Free membership – subscribe to our email for member-only discounts and tips and tricks I’ve used to help me enjoy life again with Lupus! Order today and give your bones, joints, and immune system the support it needs!